Those who want to contribute to our blog can e-mail us at traditionsacrosseurope@gmail.com. I already sent you a message on April 30th. I suppose you did not get it because I got no reply. Shall I send it again? Thank you very much for your e-mail. I already replied. I look forward to meeting you on this blog. I’m wondering if it would be possible involve an Australian school in this blog. What do you think about it? 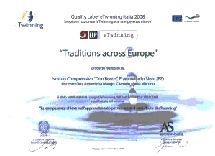 As far as I know, they cannot be our partner on http://www.etwinning.net for the simple reason that they are not European, but, since this blog is read by lots of people all over the world, I think we should be open and invite anyone who wishes to post materials here as collaborators. Would the Australian school accept the status of collaborator? It would be great for our students to find out more about Australia. I agree with Liliana. 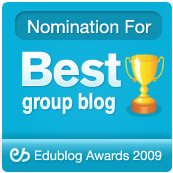 I would welcome an Australian school to contribute to our blog even if they cannot join us on eTwinning.net The more interactive our blog is, the better it will be. I have a new boy, aged 9, who has just joined us from Hungary. He uses some English and his Maths skills are very advanced, I was just wondering if there are any Hungarian teachers reading this blog who can suggest ways of helping him to settle ? I am Irina Cretu,a young teacher at School 13, Botosani, Romania. What to say about everything you did? Wonderful, interesting, challenging, brainstorming ideas…..I would like to be involved in a project like this, could you give me an advise? Hello, Irina, and thank you for your nice words! I am sure all of us are happy to hear so many wonderful words from people around the world. If you want to start an eTwinning project, you can visit http://www.etwinning.net and http://www.etwinning.ro for further information. In case you want to join our project, just write us an e-mail at traditionsacrosseurope@gmail.com.